Hey everyone. I’m Nicole Hollar, creator of the Personal Trainer ToolKit. For years, I struggled to find a comprehensive way to manage the documents and data I needed to keep my clients on track and my business running efficiently. Are you like me? Are you tired of looking for what you need online only to end up with a bunch of random downloaded forms? You end up with half the data you need on your computer and the other half filed away somewhere. Or maybe you use a web-based measurement calculator but have no organization to save and track the information. As trainers, we’re not just tracking numbers and scheduling appointments, we’re running a business and managing people’s health and lives. To take our businesses to the next level we need consistency and order for not just us, but our clients too. Whatever you are using now, you probably have a rhythm. Meet the prospect, fill out some forms and so on, right? Well these documents are just a fraction of the Personal Trainer ToolKit that will help your business run more smoothly, saving you time so you can earn more money. You work by the hour so time is valuable. I guarantee you’re going to like these a lot more than what you’ve probably found on ACE© or NASM©. I want you to check it out so I’m giving you a few Free Downloads of the Personal Trainer ToolKit, and the Marketing Calendar from my Sales ToolKit today. What’s there to lose? Wait! Did You Get your Free Downloads? Not only are you getting the Client Info Packet containing on-screen fill-in forms: Client Contact, Health History and Fitness Goals, as a special bonus, you’ll also receive a pre-formatted spreadsheet to help you calculate metabolic rate and calorie/macronutrient ratio goals. 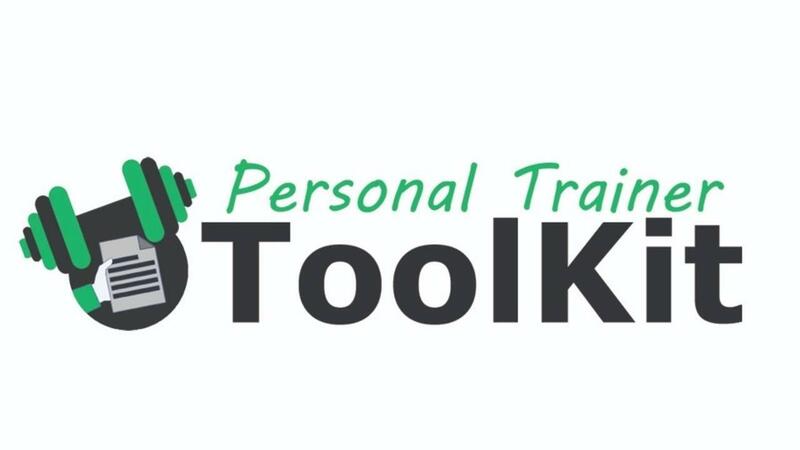 This is one of the many incredible organizational tools of the Personal Trainer ToolKit. 4. Free Nutrition Summary for your clients. The same one I distribute at wellness seminars & webinars. *By the way, your personal information is never sold or shared.